First Time Home Buyer? Its hard to beat this central location with convenient access to Downtown Honolulu, Waikiki or jump on the H-1 and get anywhere you want on Oahu. Well maintained building with low maintenance fees which make for a great first home or investment opportunity. Lease rent of $1 a month, considered the most desirable lease terms on island for a Leasehold property. 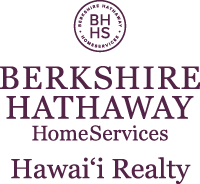 I am interested in 1448 Young Street UNIT 310, Honolulu, HI 96814. Sign up for Inside AccessTM to view recent sales near 1448 Young Street UNIT 310.